Following a successful New York debut earlier this year, 1:54 Contemporary African Art Fair will return to London this October to present its most substantial showcase yet. 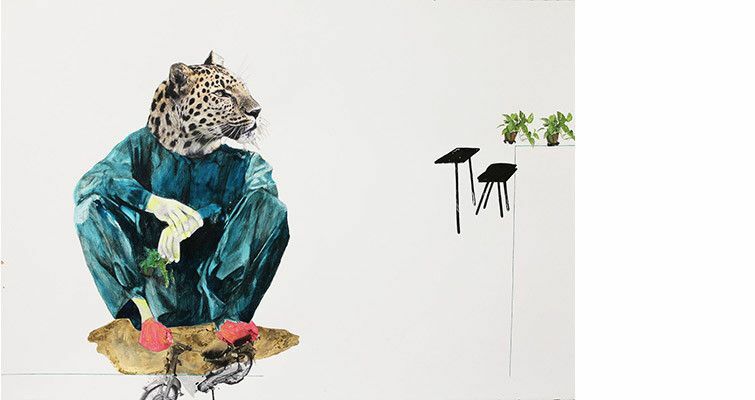 Taking place once again at Somerset House, the fair will feature 38 exhibitors representing more than 150 contemporary artists from Africa and the African diaspora. 1:54 is an opportunity to enjoy contemporary African art in mediums including painting, sculpture, photography, video and installation with a cross-section of works from across the continent. Highlight artists of the fair include: Otobong Nkanga (In Situ / Fabienne Leclerc) Sammy Baloji (Axis Gallery) – designing an in-situ installation for the gallery at the fair, Ibrahim El Salahi (Vigo Gallery), Athi-Patra Ruga (In Situ / Fabienne Leclerc), Edson Chagas(APALAZZOGALLERY), Aboudia (Galerie Cecile Fakhoury & Jack Bell Gallery), Boris Nzebo (Jack Bell Gallery), Gonçalo Mabunda (Jack Bell Gallery), Ibrahim Mahama(APALAZZOGALLERY), Meschac Gaba (In Situ / Fabienne Leclerc), Romuald Hazoumè(October Gallery), Sokari Douglas Camp CBE (October Gallery), Virginia Chihota(Tiwani Contemporary) and many more. As well as 33 galleries, 1:54 is delighted to recommence Special Projects this October with contributions from Qubeka Bead Studio, Cape Town; Fondation Zinsou, Cotonou; BASMOCA, Jeddah; and Dialogues: MusicforArchitecture, London. Additionally, artist Hassan Hajjaj – Larache Studio, Marrakech will transform the 1:54 Lounge into a vibrant and immersive salon in a tribute to Moroccan interiors, fashion, and culture, edged with motifs of global commerce. Over the past three years, 1:54 has established itself as a leading voice on contemporary African art. 1:54 will host its hugely popular FORUM programme – a three-day critical conversations series comprising of artist talks, panel discussions and film screenings curated by Koyo Kouoh, Artistic Director of RAW Material Company and curator of 2016 EVA International, Ireland’s Biennial. The upcoming edition will interrogate the invisible border between the ‘Maghreb’, North Africa, and sub-Saharan Africa and explore whether there is a cultural distinction between the regions. FORUM will feature leading individuals from artistic, educational and curatorial spheres who will analyse and perhaps even reshape the assumed differences between artists working in North Africa and those in sub-Saharan Africa.